This five-metre bell tent can accommodate 2-5 guests in comfort. Botany Campsite is set in the rolling Wiltshire countryside, an ancient landscape of beauty, with stone circles, white horses, and stunning Wessex scenery. 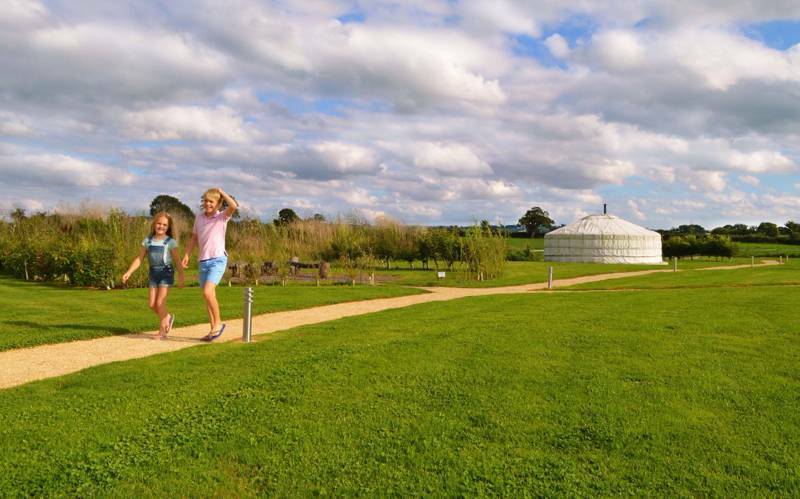 Our campsite offers family friendly camping (pitch only) and eco glamping in 5 m bell tents ideal for a family of 4/5, furnished with all the goodies…..
For latest availability and best prices for Botany Camping, please use the Date Search above. Bell tents sleep up to 5. 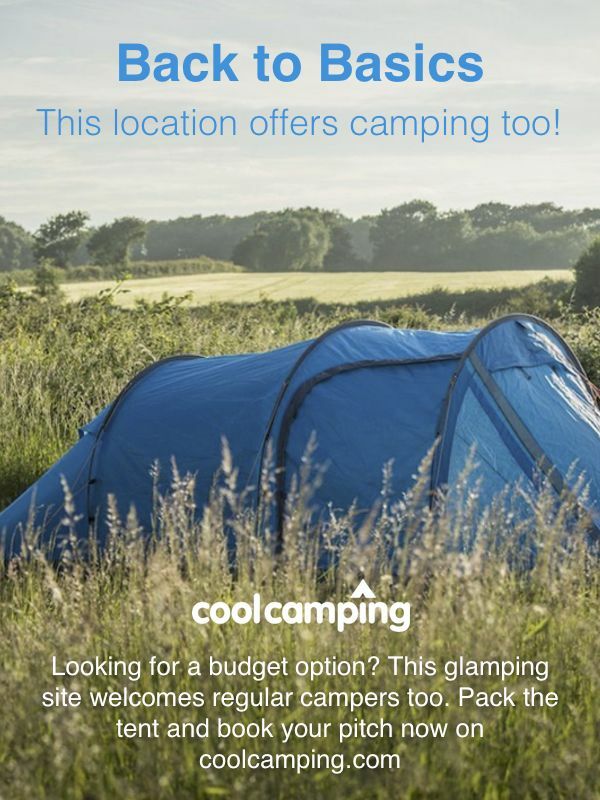 They include a firepit and solar-powered fairy lights, a free campfire pack (wood, firelighters, marshmallows, skewers), and cool box with frozen cool blocks, beds, stoves, utensils and everything you require for cooking. You’ll need to bring your own bedding and towels. There are composting toilets and regular flushing loos plus 4 family shower rooms with sinks and hot water. Less than 4 miles away, Longleat House and Safari Park (01985 844400) is the UK's premier wildlife experience. Crispin can get you 30% off your ticket price. Travel 30 minutes north to the historic city of Bath, small but eloquent and a good day trip from the campsite. A similar distance in the opposite direction takes you to Salisbury with its towering cathedral (01722 555120) and narrow streets. Be sure to stop at Stonehenge en route. Wardour Castle (01747 870487), Stourhead (01747 841152) and Wilton House (01722 746714) offer further history in the area, while more active campers can try cycling in the Woodford Valley. Anglers should head to Shearwater Lake (01985 844496) with a massive range of fishing on offer. A small onsite shop sells essentials and sweet things for the kids, and there's a Morrisons supermarket in Warminster a mile away. There are also several pubs and restaurants in the town. The Snooty Fox (01985 846505) is one of the closest and best, serving good fare in a friendly environment. As you come up the hill on Bradley Road, leaving Warminster, Botany Camping is the 2nd entrance on the left after the bridge. There is a railway station in Warminster. Botany Camping is also on national cycling route 24. 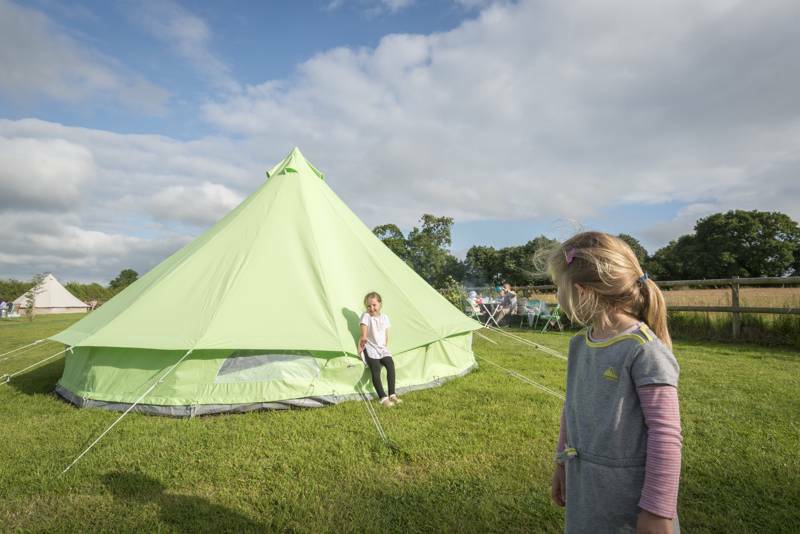 There's a full rainbow spectrum of bell tents on offer but green is the colour that really stands out at this campsite with heaps of grassy space to run wild in and bushy hedgerows all around. And, with discounted access to the country's oldest safari park, you're all sorted for weekend activities. 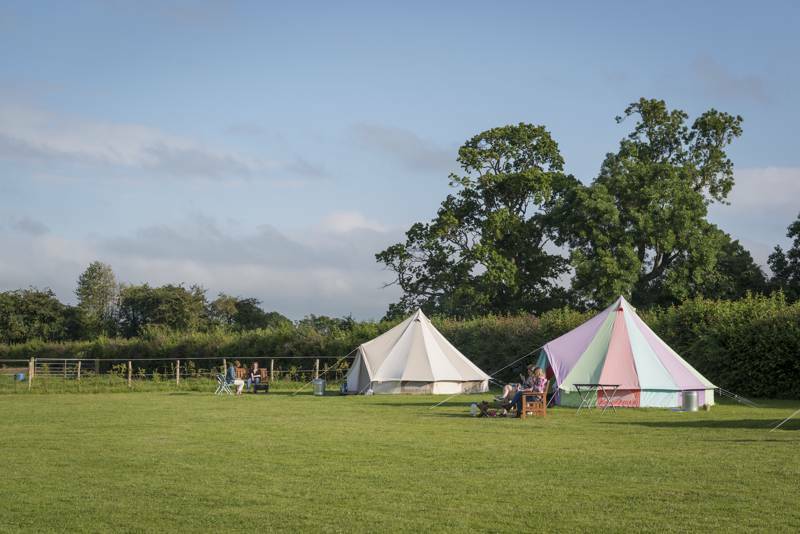 6 regular pitches, 16 glamping bell tents available in 2 fields. More camping pitches available in August.